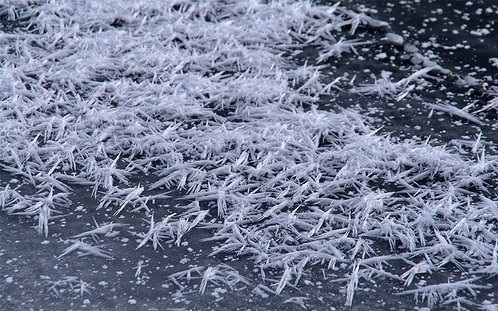 Ice flowers are formed on new layers of sea ice, from saturated water vapors that come up from under the ice through cracks. 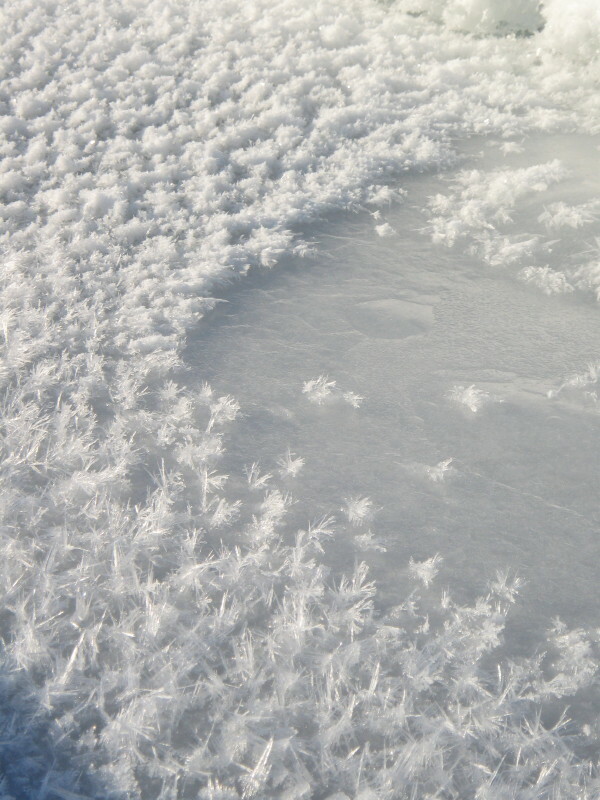 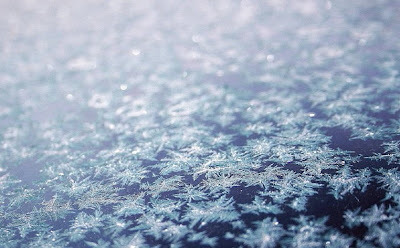 In contact with the cold air, the vapors start to freeze and the salt on the surface of the ice begins to crystallize and serves as a nucleus for the frozen vaporized water. 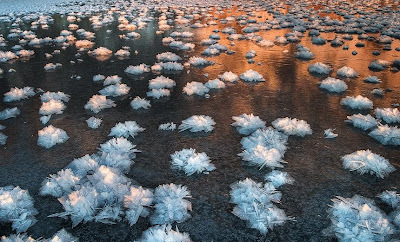 Thus, molecule by molecule the ice flowers begin to take shape. 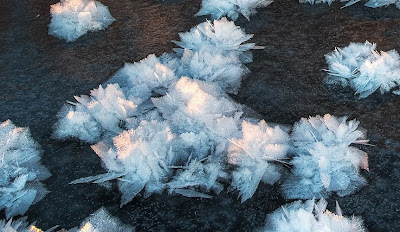 They have recently been recognized as the dominant source of sea salt aerosol in Antarctica and scientist suspect they may be the main cause of tropospheric ozone depletion during the polar sunrise. 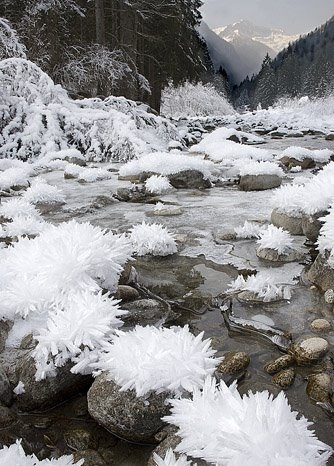 One of the most beautiful frozen wonders on Earth, ice flowers are still a mystery to many people.